Five years after the original Brooklyn Bowl launched, the well known New York bowling alley comes to London's O2. 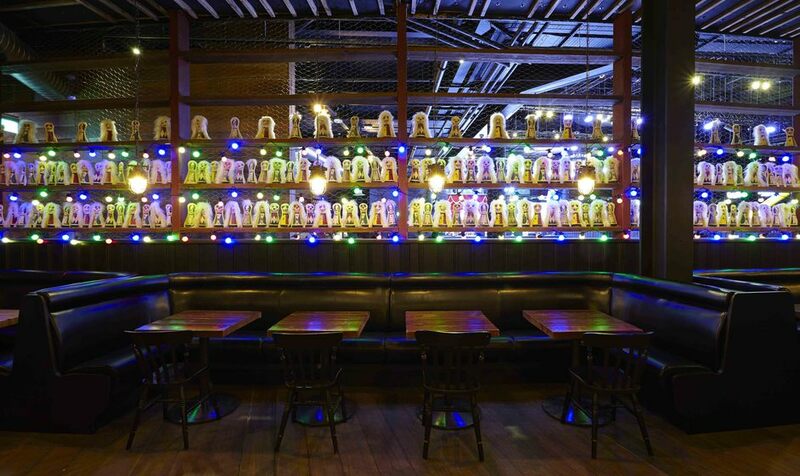 The London venue is the first Brooklyn Bowl to open outside the US and includes 12 lanes of bowling, a 800-capacity concert venue alongside American style food and beers brewed locally by the Meantime Brewing Company. Well known for its live music as well as the bowling lanes, the original has been hailed by Rolling Stone as "one of the most incredible places on earth," and Adele, Kanye West and Elvis Costello have all played at the NYC venue. Food is by Bromberg Bros. Blue Ribbon Restaurants which brings its signature menu including oyster po' bos, Cajun catfish, French bread pizzas, egg shooters, and their famous fried chicken to UK shores. Brooklyn Bowl gyms, sporting activities, health & beauty and fitness. What are the best dining options near Brooklyn Bowl London? The best pubs near London Brooklyn Bowl. Brooklyn Bowl clubs, bars, cabaret nights, casinos and interesting nightlife. Where to have your meeting, conference, exhibition, private dining or training course near Brooklyn Bowl. From cheap budget accommodation to luxury 5 star hotels see our deals for Brooklyn Bowl hotels, including Holiday Inn Express London Greenwich from 86% off.